HOW IMPORTANT ARE ENGLISH LANGUAGE PROFICIENCY TESTS FOR YOUR STUDIES ABROAD AND MIGRATION? Whatever be your plan of going abroad be it for studies, work or permanent residency, English Language proficiency tests are a must. With regard to overseas studies most institutions insist on evidence of English language proficiency, students have to appear for the Language proficiency tests such as PTE, IELTS, etc. English Language proficiency scores are essential both for admissions as well as while applying for visa. The tests consist of 2 categories – Academic and General. The scores required vary according to the program, institution and country. Students should undertake adequate research or seek the advice of the concerned authorities to know these requirements which would help them to aim for the scores required by the institution of their choice. Candidate may retake these tests if they are unsatisfied with the score by paying the applicable fees for the tests. 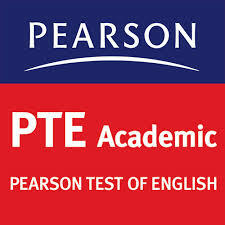 The Pearson Test of English (PTE) Academic test is widely accepted for study abroad as well as by Australian and New Zealand immigration departments. PTE’s exam fee is INR 10,900. The exam can be scheduled for any working day at extremely short notice – online 48 hours in advance, the results are declared very quickly – within 5 working days. The certificate is valid for two years. Trial training material is provided in the web site www.pearsonpte.com to familiarize the student undertaking the test. Additionally one can practice online by paying nominal amount. Pearson’s web site also provides tips and techniques to the students to avoid any glitches while taking the test. Santa Monica is the authorized and dedicated Pearson Test Center in Kerala. The traditional International English Language Testing System (IELTS) is jointly owned by British Council, IDP: IELTS Australia and Cambridge English Language Assessment with more than 900 test centers and locations in over 130 countries. IELTS Academic is recommended for candidates who plan to undertake academic study in English language and also is accepted for migration. As of now, exams can be only scheduled on a particular day of test announced by the British Council, held in almost all major towns of Kerala. Results are usually posted in 13 to 15 days. The exam fee is INR 10,400 and certificate is valid for two years. As a Gold Member of British Council, Santa Monica assists candidates to register to appear for IELTS test anywhere in India. Free IELTS /PTE training are offered to students registered for overseas studies through Santa Monica study abroad. These free IEL TS /PTE trainings are offered through our associated coaching centers in different parts of Kerala and India equipped with state of the facility with language labs and libraries. Classes are handled by highly trained professionals with years of industry experiences. The coaching provided is of holistic nature based on updated coaching curriculum. Periodic mock test, extensive teaching sessions with ample number of tests simulating the testing conditions are done at regular intervals. For more information on free IELTS/PTE training contact Santa Monica on 0484-4140999. This entry was posted in IELTS /PTE tests on October 14, 2015 by Ronnie Fredrick Thimothy.